Designing and manufacturing orthopaedic cases and trays requires expertise, speed and precision. The suppliers of these units need to be highly responsive to the orthopaedic OEM industry’s evolving needs and requirements. Recognizing the market demand of orthopaedic OEMs for proficient suppliers, Trifecta Medical is one of the leading case and tray suppliers, catering to both domestic and international customers. The Trifecta Medical team has a long history of innovation in the case and tray market segment, particularly in the design and quality department. Trifecta Medical’s customized case, tray, and caddy systems ensure effective and timely processing and validation, longevity and content stability; protecting the valuable orthopaedic instruments and implants. For understanding customer requirements and needs, Trifecta Medical has a unique approach, a collaborative method utilizing their collective industry experience in addition to the customers’ specific requirements. The customer provides Trifecta Medical with solid CAD models of the instruments and implants. Then the Trifecta Team incorporates their industry and processing knowledge into the layout and design phases; guiding the customer along the way. The Trifecta Medical Team takes pride in providing their customers with valuable insights regarding why sets succeed and/or fail in order to ensure the success of their sets in the field. “We designed them to be easily cleaned, sterilized and validated. We also design them to be attractive and durable, so that they won’t fall apart in the field, and so that they can withstand shipping and processing abuse,” states Jim Spencer, Founder and CEO. 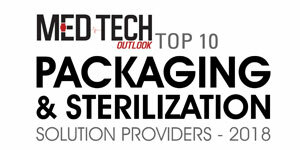 Every product goes through rigorous inspection, before sending them for sterilization validation. According to the FDA process, validation is a requirement of the Current Good Manufacturing Practices and Regulations for Finished Medical Devices. Trifecta Medical is ISO 13485 certified, and as such has a comprehensive quality management system. Following the customers’ inspection and validation, the final production sets are produced, packed and shipped around the globe. To withstand shipping, processing, or transportation abuse, Trifecta Medical uses and recommends reinforced corner bumpers, as well as all-rivet construction (no screws) for all its case/tray sets. Moreover, a unique proprietary process is used to apply nylon coating to brackets, and this unique process ensures that the nylon will not peel off. “Over the past several years, we have seen an increasing trend with nylon peeling off of various substrates. In fact, some OEMs have elected to eliminate nylon altogether as a result, but this puts their contents at risk of additional damage. Our nylon will not peel off.” states Jim Spencer. These are some of the features and characteristics that set Trifecta apart from the competition. All these vital features make their products substantially more robust. As a result, Trifecta Medical’s products are used and favored worldwide. One of its global customers needed to design a very elaborate system of cases and trays (5 total sets) for a European educational hospital. The entire system was designed in less than two weeks, prototyped and shipped in less than four weeks, and the customer was able to meet their deadline for a critical hospital evaluation. Trifecta is committed to being fast and on time. With such remarkable feats, Trifecta Medical is steadily climbing the ladder of success. Addressing the customer demand for rapid prototype capabilities for cases and trays, Trifecta Medical is currently designing a standard modular and customizable system that will be launched in 2019. Moreover, with the growing customer needs and requirements, infrastructure expansion is on the near-term horizon for Trifecta Medical.